The Tony Hawk Foundation has awarded their Spring 2018 top grant to City of Skate for their Central Skatepark project being developed with partners the Minneapolis Park and Recreation Board, Central Neighborhood Development Organization, and Hennepin Country via a Youth Sports Grant. 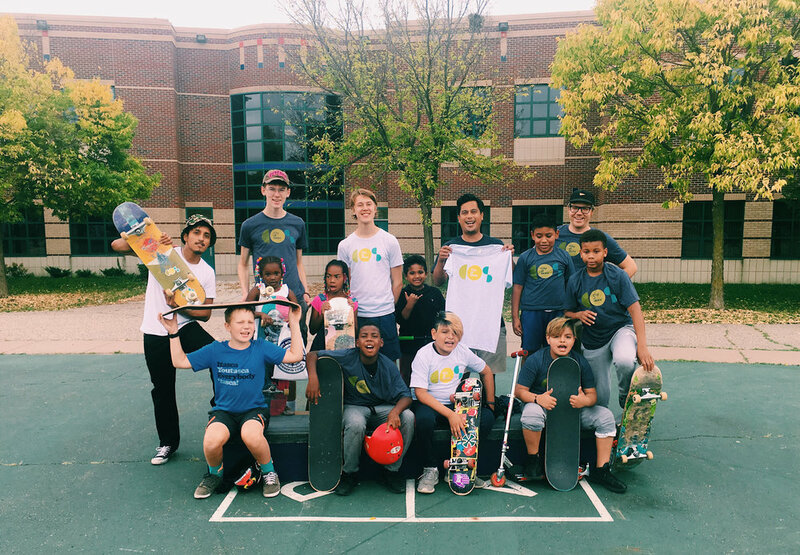 The Tony Hawk Foundation recognized this project and COS because, "the City of Skate advocacy group in Minneapolis, Minnesota stood out for its progressive and energetic promotion of skateparks and skateboarding, which resulted in ratification of a citywide skatepark plan . Their Central Skatepark will be located in the heart of the South Minneapolis and provide local youth a safe, free place to skate. The group is also promoting a statewide skatepark-funding program to create more skateparks across Minnesota. The $25,000 grant was awarded to City of Skate in honor of Gary Arnold, an entertainment-industry icon, member of the THF Board of Directors, and former Minneapolis resident who passed away in 2017 after many years of service to youth causes. Central Skatepark will also highlight the diverse skateboard community that already exists in Minneapolis and within the Central neighborhood. Central Skatepark is the first funded of 18 skateparks approved by the Minneapolis Parks and Recreation Board Skate Park Activity Plan. The success of Central Skatepark will lead to skateparks throughout Minneapolis and allow youth to discover skateboarding and the self directed recreation skating provides. Central Skatepark is located on the former site Minneapolis Central High School, home turf of it’s most famous alumni Prince Rodgers Nelson. Note due to extra space being available for the skatepark, City of Skate is seeking further funding and partners to complete this project to the highest, creative quality in early 2019. Please contact us if you and/or your organization can contribute to the Central Skatepark Project.